Welcome back to Fluxtaposed, episode 190 recorded on Dec 12th, 2017. On the docket today - IRL, a 2017 Review, and get caught up on Whatchuplayin’ featuring more Zelda & Skyrim. Finally, we will close out the episode with the community grab bag and that sweet, sweet, awkward finish. Thanks for listening and enjoy the show! 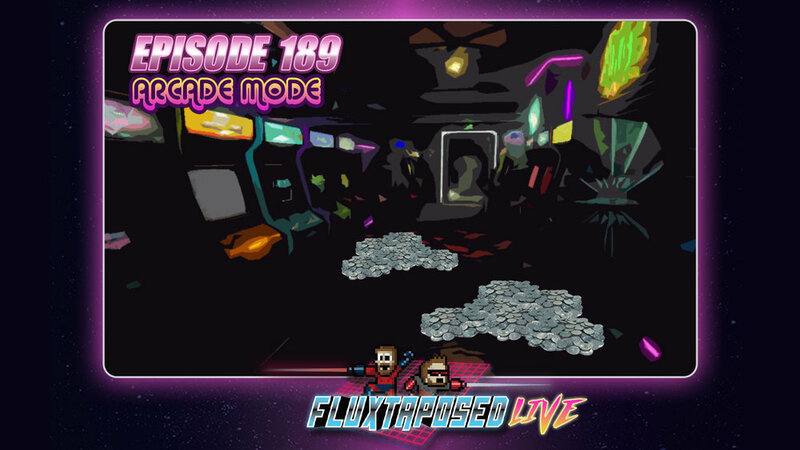 Welcome back to Fluxtaposed, episode 189 recorded LIVE on Dec 5th, 2017. On the docket today - IRL, get caught up on Whatchuplayin’ featuring Hyper Light Drifting and Baby Bosses A top 3 discussion on our favorite arcade games of ALL TIME. Finally, we will close out the show with the community grab bag and that sweet, sweet, awkward finish. Thanks for listening, thanks for watching, and enjoy the show!